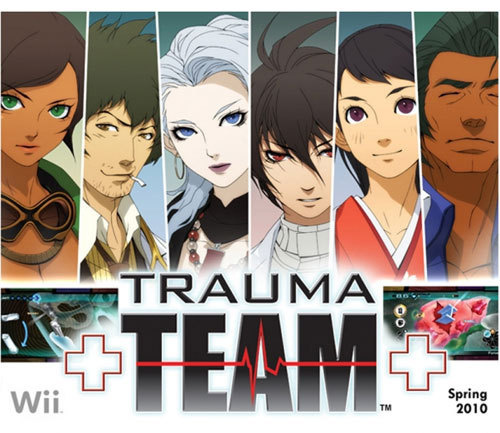 Trauma Team is the third Wii game in Atlus' "Trauma" series, and was released in NA in May 2010. The main difference in this game, is that you not only play as a surgeon, but you also assume the role of first response, orthopedics, diagnostician, endoscopist, and forensics. These 6 doctors make up the trauma team, and you follow them along their intertwining storylines. 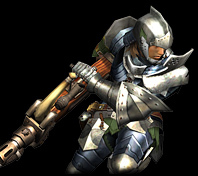 The game has great character design. I enjoyed the variety of the professions, though some are more fun than others. Diagnostician was quite enjoyable most of the time, you have to deduce what disease your patient is suffering from by listening to them and through physical inspection and specialized exams (X-Ray, MRI, etc...). It's quite realistic and I appreciate the detail that went into these parts. I quite enjoyed the banter between Gabriel Cunningham (2nd from left), who is probably my favourite member of the team, and his patients and "assistant". I just like the cut of his jib. I enjoyed the investigative forensics parts, they really stand out as something new to the series. I especially liked the last investigative case and the puzzles you must solve. Surgeon was great, as was First Response where you have to multitask, addressing several patients in critical condition at the scene of the accident. Orthopedics (where you deal mostly with bone repair) was good, but it felt very "on-rails" or should I say, guided. I enjoyed Endoscopy more than I thought I would, but the last "operation" was kind of meh. One of my qualms has to do with the fact that the co-op in Trauma Team is dumbed down from New Blood. This was a disappointment to me, because I thought New Blood's co-op was perfect and expected just as much from the sequel. Firstly, a couple of the professions are single-player only, and for the rest you either alternate with the second player, or allocate tools to one player or the other before the operation. This drastically reduces the on-the-fly gameplay and decision-making that was so prevalent in New Blood. But, in single-player it's a moot point. Trauma Team one-ups its predecessors in terms of presentation, though. The cut-scenes are very well presented, with full dialogue and text. Although the story is a bit all over the place, it comes together in the end, and it's not your typical "mega-cancer/virus thing risking of taking over the world" scenario as in previous Trauma Center games. The characters are surprisingly well-developed, and it's enjoyable to see the doctors involved in multiple facets of the medical community. 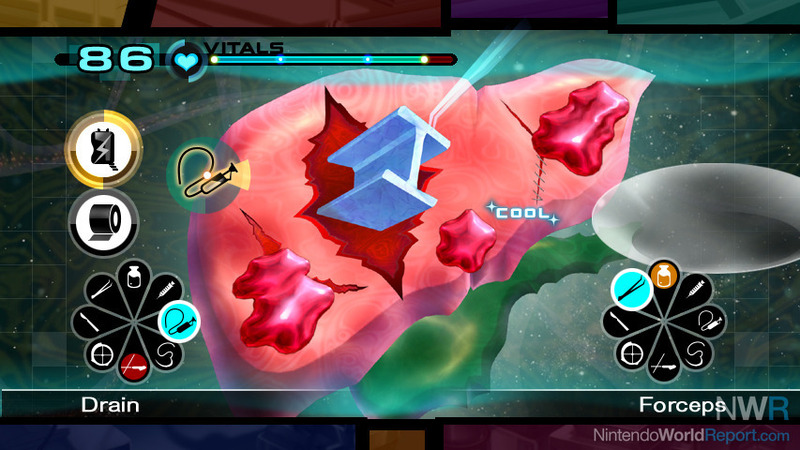 The gameplay is also more focused, and less ambiguous. I remember a lot of times in New Blood you would have no clue what to do next; well, that never happens in Trauma Team, and it's better for it. The game is also a little bit easier in terms of frustrating difficulty, compared to its predecessors, but there's an unlockable hard mode. You just can't review Trauma Team without including this pic. Damn right, you're off-duty. All things said, this is the best Trauma experience available. It's truly a great title, that unfortunately got overshadowed by a monster 2010 in terms of other higher profile Wii releases. The game should be cheap by now, and I absolutely recommend picking it up. I really didn't care for Endoscopy. Otherwise, the game was pretty solid. I was really surprised just how much content they threw into the Diagnostics and Forensics portions, they actually took up most of the game. Good thing they were pretty fun, too. Very Phoenix Wright, though less humorous. And yes, that image sums the game (and series) up pretty well, haha. I reviewed it as well. The conclusion I came to is that, despite all the extra stuff going on, Trauma Team is probably the best way to get into the series. The lower difficulty curve and variety of operations makes it a lot more inviting than the constant, crushing surgeries of other games. And by the end, you'll be at the perfect place to pick up the more difficult earlier games. The game is definitely better than the sum of its parts. I mean, I didn't like orthopedics or endoscopy all that much myself, but in a way I'm glad those disciplines were in there. For the sake of variety; because I liked the characters; and because of the fun (and kind of creepy) use they find later in the game for the endoscopy camera. I really feel like the unlockables should have been unlocked from the start. The game is 20 frickin' hours long! You don't need to lock away the Hard difficulty when your game has that much content! I've been "playing" this with my sister, she got it for X-muss. I mostly watch her, but I could easily join in and help her in the operation. My favorite parts are the forensics and diagnostics. The story is pretty outlandish but still fun, and the music is great in some parts. I refuse to buy this game though due to the fact I missed the one dollar clearance price at Wal Mart. I seriously only found that High School Musical singing game and a copy of Prince Caspian on DVD. Hey now, you realize that the game is worth at least 40 times that!? And that if you're holding out for another $1 sale, you'll never play it? I find it ridiculous that this game hasn't released in Europe. This and Excitebots. Endoscopy was weird, for sure. It made very good use of the Wiimote for moving forwards and backwards, but performing actions such as draining blood pools was awkward for some reason. Overall, I liked it but it could be improved. Diagnostics and forensics were great. It's a nice change of pace going from intense surgery/first response to a slow, methodical forensic or diagnostic analysis. The character interaction in these sections was very well done. You're right, this is definitely the most accessible Trauma game to date. The variety was excellent. I think the best way to play is by following the different disciplines one operation at a time, that way you get better variety and the stories that intertwine culminate in a more satisfying way. Yeah ,it's quite an entertaining game. But even when playing co-op you'll be watching quite a bit of the time. Did you play New Blood? After Trauma Team, I suggest getting that one, for a challenging and immensely satisfying co-op experience. Boo indeed. Keep your eye out for another sale, I guess. Thanks for sharing your opinion on the game. I considered buying it a couple times last year, but then I found myself putting the box back on it's shelf to buy something else. I've never played a Trauma Center game before either. Anyways, I'd like to give Trauma Center an honest look sometime this year. I'm sure I'll pick it up sometime. I played through and enjoyed the original DS game and the Wii release. I'm just feeling a little burned still. Poor, poor me. Just like anon, I think it's the best possible starting point. It's simply more accessible and like he mentioned, you're never at a loss as to what you're supposed to do next, unlike the previous games where sometimes, they'd let you try to figure it out on your own. Frustrating when you've got a time limit and any wrong thing you do will just take away seconds from that timer. I bought this game awhile back and haven't really had the time to dive into it yet. From what I played though, it was pretty solid, but man... I hate Endoscopy. Enough that it sort of turns me off from the whole game a bit knowing I have to do a bunch of Endoscopy missions. I'm also not quite sure what to think about Diagnostic and Forensics. They are fun modes, but they're so different than classic Trauma Center gameplay... a good thing, right? And yet I can't help but feel while playing them that I would rather be playing Phoenix Wright or something like that. Eh... don't get me wrong, it might seem like I'm down on the game but the reality is that I just haven't had enough time to get too deep into it. I did one mission of each type and a handful of others and got caught up in other games. If you don:t like Endoscopy, don:t do those operations. The only thing you:ll miss out on is some character interaction and back-story for Tomoe (though, I would recommend trudging through them, to unlock the extra missions). The game has a good length to it, even if you omit one of the professions completely. For the sake of variety, I think Forensics and Diagnosis do a good job of shaking things up. They don't feel tacked on or anything, and I really liked Gabriel Cunningham's character. Still, I do wish there were more surgery missions. Surgery was this series' bread and butter, and they went in a strikingly different direction for Trauma Team. That's why I can't really say I like Trauma Team any better than New Blood (I gave them both a 9.0/10) Surgery should be front and centre, and to me is the most fun profession. First response is a very good alternative, but orthopedics and endoscopy don't quite make up for the lack of surgery missions. I think Pandareus said it best, that the game is better than the sum of its parts. Well of course I have to do them if they unlock extra missions. Anyway, I'm finally jumping back into the game and for some reason I'm enjoying it more this time around. The normal operations still feel a bit lacking to me next to previous games (and taking out a time limit, while maybe making it more realistic, sort of kills the need to balance healing with other operations... you can just heal whenever you want now) but the variety is pretty nice. I even did an endoscopy mission and didn't hate it. I do hope the challenge of the missions picks up a bit though. I picked it up at Target last week for $10 and it is an engaging game. My wife loves the diagnosis sections. Those and the forensics give me a really strong Phoenix Wright vibe. The variety of the gameplay, the story, the co-op......it's a great package. How many episodes are there? We have played it for 5 hours already and I have completed maybe only two episodes of each character. 6-8 depending on the character, I believe. Actually, maybe 1-2 more once you finish all of the branches. You're looking at a 20 hour game minimum. Insane! The forensics are very much PW-like, yes. And I was really impressed by the way the game makes you reason through the case, asking you why this or that is important, in what way two pieces of evidence are related, etc. It's all multiple-choice questions, but most of the choices are actually possible answers (i.e. no obvious throwaway joke answers) so you risk failure if you haven't been paying attention or can't figure out in what way a clue is important, what it means. Well, initially you don't get throwaway answers, anyway. Later on, obvious joke answers do pop up and I was a little disappointed by that. I also disliked using luminol and... that other thing (can't remember). It turned the search for clues into pixel hunts, which IMO is a big flaw in this type of game. I think my overall playtime for a run through the main story, plus bonus missions (which wrap up the main story), was closer to 30 hours than 20! I wonder if anyone went for the medals in this game, on a second playthrough. Heh, they really casually put it out there, once you've completed the game, that there are medals for doing specific stuff in each mission. I think I only completed 25% of these on my first go-around. I'm going to wait until I finish the game to give my full impressions. Right now I have finished all of the branched paths and am in the final single stretch of missions. My quick response is that while I love the variety of missions, some of the types aren't as interesting as others, and I dislike that very few of the missions really push you much. The old Trauma Center games usually had you battling the clock and every operation felt like it had real urgency, and like you had to really act in a skilled and professional way and like you had to choose whether you had the time to heal versus moving forward with the operation, not to mention some of them were challenging enough that if you let things get out of hand, time or not, you would have to battle to get the patient back to a state where they weren't losing health faster than you could heal. By removing the clock and making the missions a bit easier, there isn't much choice, you can just sit there and heal your patients back up to full whenever you want. Obviously this isn't always true, like with first response and the very few timed missions, but it usually is. But yeah, will have more to say when I finish it. I'm still liking it, just feeling something missing that was in previous games. I dunno, I think there were a lot of throwaway answers. Maybe not "jokes" per se, but answers that were clearly put there to be clearly wrong so that you were pointed in the right direction. A frenetic sense of urgency is what I like about the DS versions, but when I played Trauma Center games on the Wii, I hated how hard it would get The clock drove me mad. 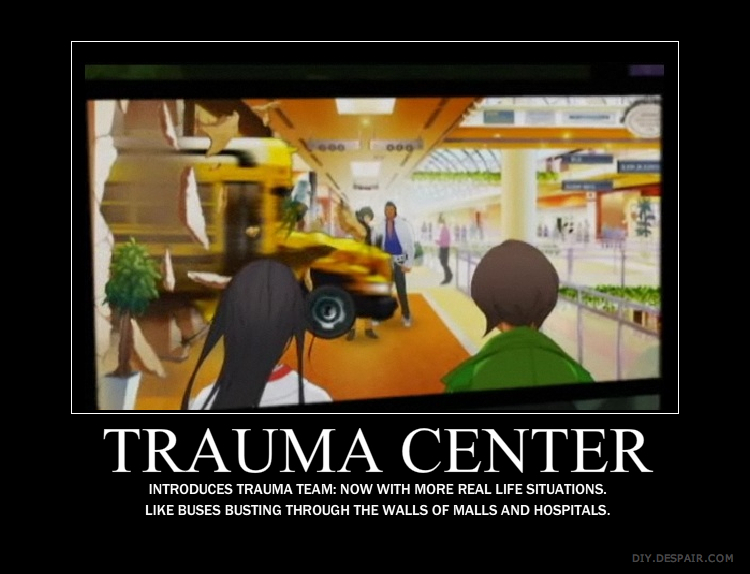 I enjoy the pace and energy of Trauma Team on the Wii. I prefer having a longer game that I fail less at as opposed to a harder, shorter game. I never finished Second Opinion or New Blood so I don't know how long they were. I gave up because they were too hard and that made me lose interest. But they have an "easy" mode! Which is pretty easy. At least, New Blood does.